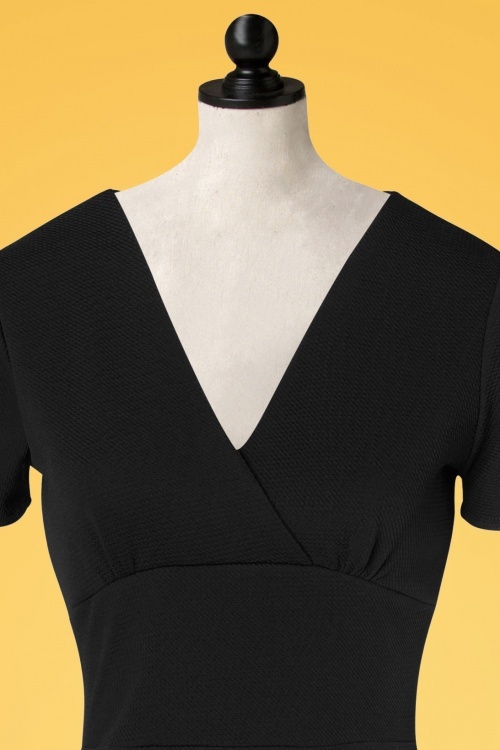 Your presence won't stay unnoticed when wearing this 50s Peggy Waterfall Pencil Dress! 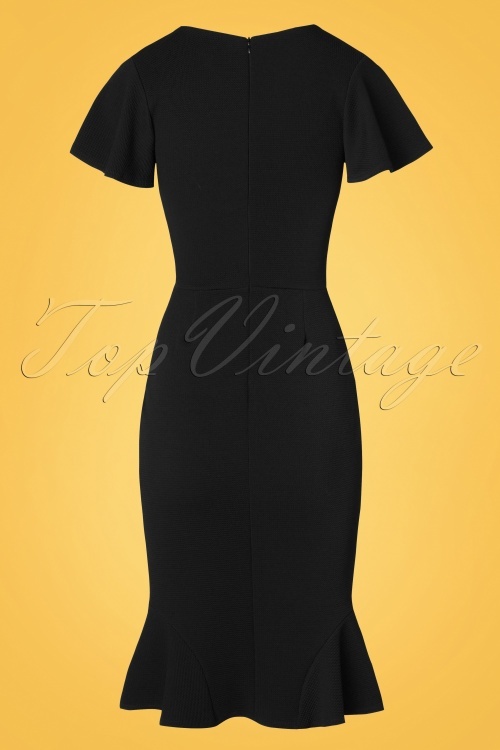 This killer dress hugs your curves and gives you a stunning hourglass figure, vavavoom! Peggy features a flattering wrap over top, flutty butterfly sleeves and a flared trumpet detail at the bottom. 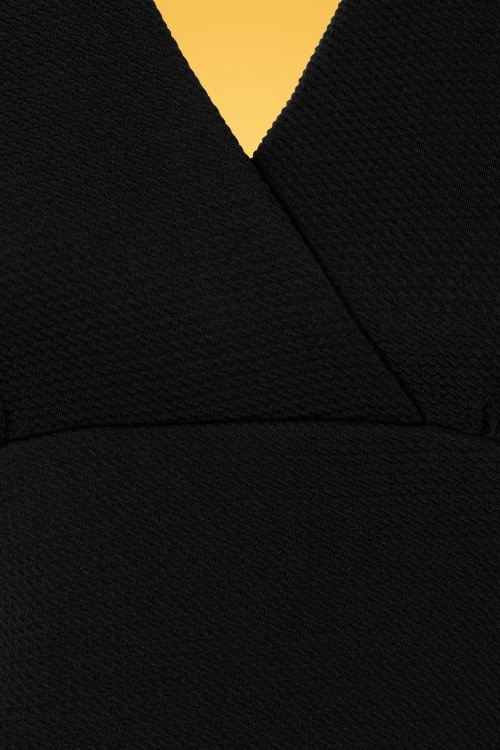 Made from a stretchy, black structured fabric which hugs your curves. Peggy will make you shine day and night!